Rank: #118 out of 269. 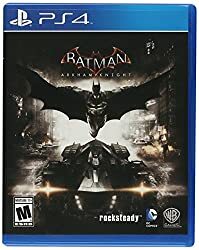 For PlayStation owners, Batman Arkham Knight offers the exclusive Scarecrow Nightmare Pack, in which Gotham falls victim to Scarecrow's fear toxin, transforming the famous city into a twisted, hellish nightmare. Tear through the city in the all-new Batmobile and face off against a towering vision of Scarecrow and his undead army as they spread terror on the streets. 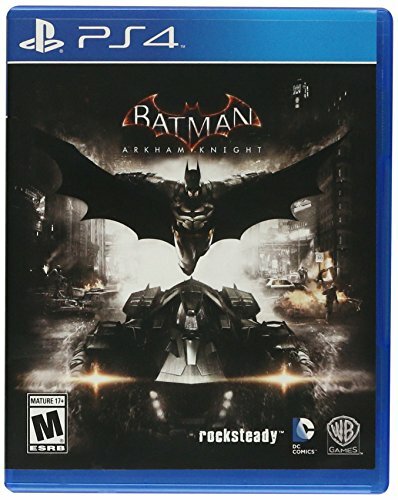 Batman Arkham Knight is a very popular option on the lower end of the price range. It's in the top 3 bestselling PS4 games and has dozens of popular alternatives in the same price range, such as NHL 18 or Electronic Arts NHL 18 . Batman Arkham Knight is $1.63 cheaper than the average PS4 game ($19.99).